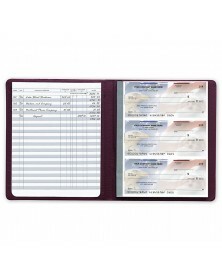 Easily and efficiently reference records now and in the future with our secure binder systems and accessories. Designed to hold checks, records of financial transactions, and other documents, including x-rays, our binder systems offer a durable exterior, and accessories, such as our clear pockets, keep the records in good condition for use years down the line. As organization and recordkeeping are essential aspects of an efficient business, create an effective long-term solution with our binders and corresponding accessories.